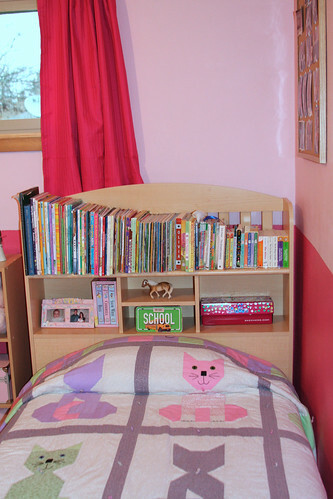 Last year I promised Sophia that we would transform her room into a space fit for a BIG GIRL. 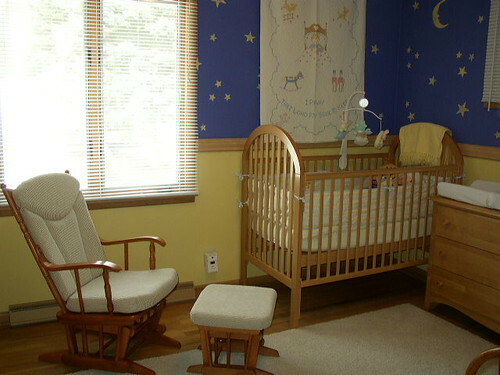 She had been in Sebastian’s old room (“the nursery”) since she was born. 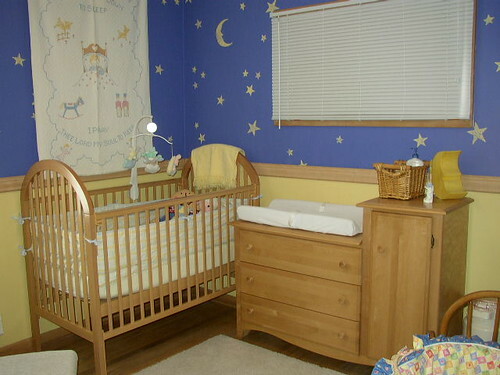 We decorated it before Sebastian was born in a moon and stars theme. 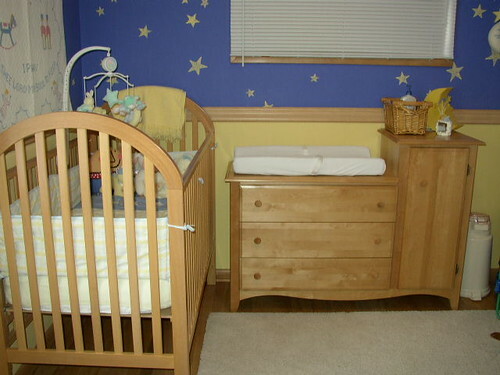 Very cute for a newborn, perhaps even a toddler, but not so cool when you’re four or five. 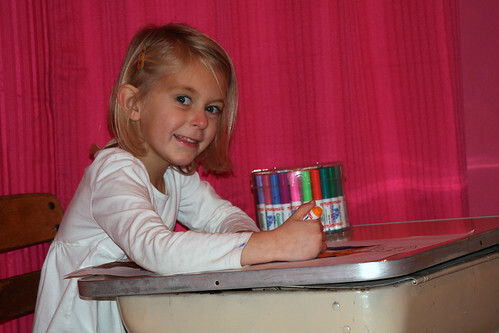 I had great intentions of painting her room last year, but never did. This past spring I wanted to get it done before her 5th birthday in June. Unfortunately, I didn’t even start the project before her birthday. 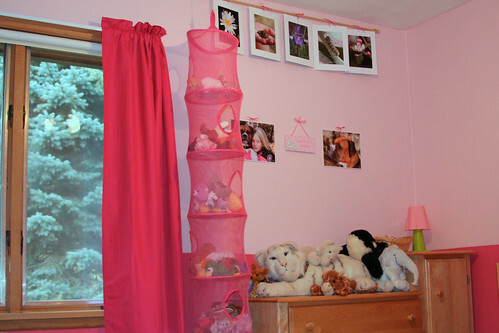 She turned five and still had a baby room. In July, while the kids were with their grandparents for a few days, I picked out paint and completed one test wall. 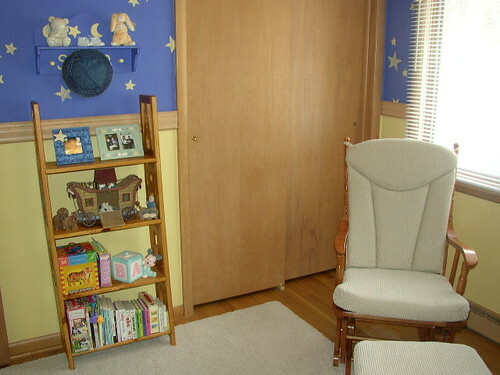 I was hoping to finish the whole room before the kids returned home, but that didn’t happen. I thought I would get it done before she started Kindergarten in September – didn’t happen. Then, I decided to take the entire Thanksgiving week off from work. 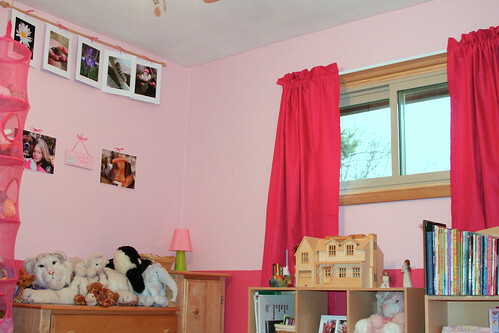 Why not start a room makeover before you have a dozen people at your house? It certainly motivated me to complete the task.